Figuring out how to outline a novel is not a linear process. Particularly in the early brainstorming stages, outlining is not a simple progression from Step A to Step B. Your brain is going to be bouncing all over the place: Step A makes you realize something about Step Z, which makes you realize something about Steps D, M, and U. Only then can you return to thinking about Step B. The novel itself, however, is linear. When you start writing Scene A in the first draft, you kinda need to follow it up with Scene B. Scene Z’s just gotta wait until you get there. This is yet another reason I find the outlining process so creatively liberating. To write a controlled and optimized version of your narrative, you must be able to first step back and look at the big picture. You must see everything there is to see about your story and realize how each piece affects all the other pieces. Your outline is the perfect place to accomplish this. As we’ve talked about in previous articles in this series, stories begin as a random conglomeration of ideas. From there, you must brainstorm your way to finding the story’s skeleton—the basic shape of its plot. That, in turn, allows you to begin understanding the story’s heart—its theme and the character arcs that drive it. That’s when your “bob and weave” act begins in earnest: when you start identifying and filling your story’s plot holes. Then, finally, you dig down to discover the context of your characters’ backstory. And now… you’re done with your General Sketches! However, the one thing we’ve yet to cover is perhaps the most important of all outlining skills: the bob-and-weave. This isn’t a properly defined “step” within the outline. Rather, it’s a technique you’ll need to use throughout every single one of the previous stages. Once you realize outlining is not linear, it frees you from the constraints of thinking of each of the above “steps” as if they lived in isolation. Although writers may often segregate various aspects of story (such as plot, theme, and character arc) in order to better get our heads around them, we must always remember none of them functions alone. Plot depends on character, just as character depends on theme. This, of course, means it’s impossible to figure out how to outline any one aspect in isolation. Instead, you have to “bob and weave” from one to the next. 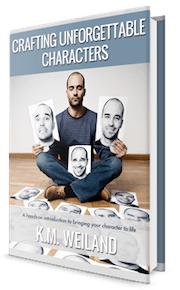 As you’re figuring out your story’s plot, many of the questions you’ll be raising will inevitably depend on answers of character and theme—and the same is true in reverse. A plot question may lead you down a lengthy rabbit trail about your character’s motivations, which will inevitably be informed by his character arc, which will prompt further questions about where he finds himself at the end of the plot. Be patient with the process. Take each question as it comes naturally. Don’t try to fit the aspects of your story into rigid compartments within your outlining process. But whenever you follow a rabbit trail into one aspect of your story, always bring it full circle to return and answer your original question. Although the bob-and-weave is a technique you’ll use, in small ways and large, throughout nearly every aspect of your outline, there are three particular areas in which you’ll want to consciously put it to use. Plot, characters, and theme are the foundational cornerstones of your story. All three are important, and all three must be woven into the other two if they’re to create a cohesive and powerful story. 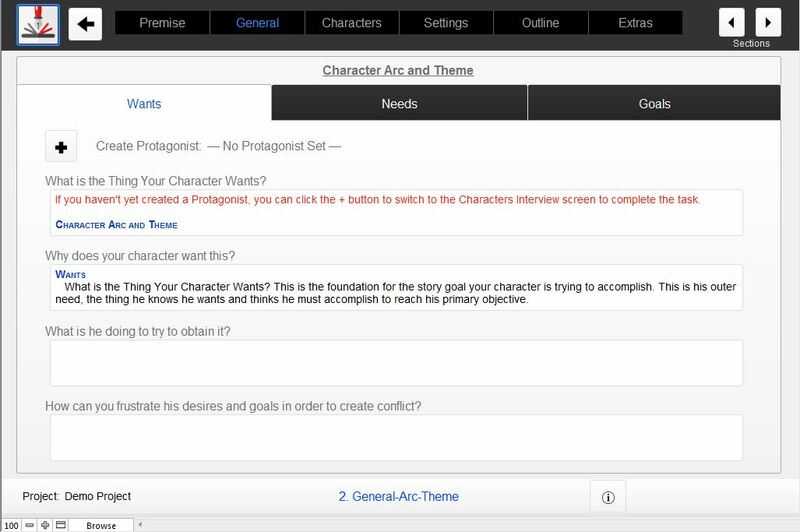 You can use the Outlining Your Novel Workbook software to work through important character arc and theme questions. When you work on your character’s external goal (a plot question), you must also consider how it is influenced by the Thing He Wants (a character arc question), which is, in turn, is influenced by the Lie the Character Believes, which stands in opposition to a Truth (a thematic question). 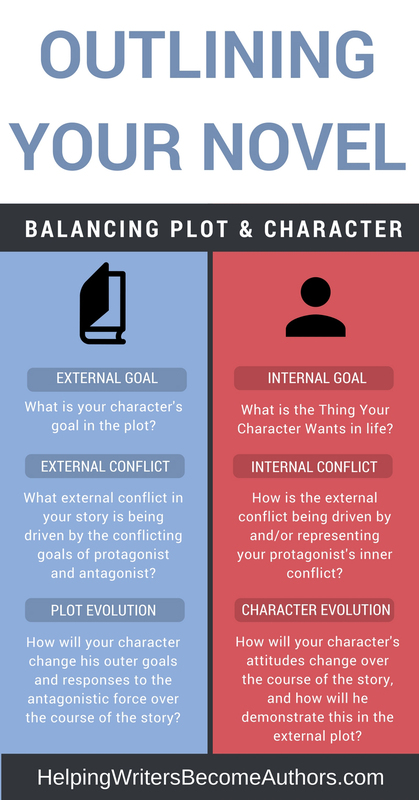 When you work on your story’s external conflict between protagonist and antagonist (a plot question), you must also consider how this conflict is driven by and/or representing the character’s concurrent inner conflict (a character and theme question). When you work on how your character will demonstrate his changing attitudes over the course of the story (a character arc question), you must also consider how this will, in turn, change his outer goals and his responses to the external antagonistic force (a plot question). And on and on… Every time you find yourself asking a plot question, you must follow that up with related character and theme questions (and vice versa). If you aren’t working on all three of these crucial story elements in concert, one or more of them will fall out of sync. The result is inevitably a story that lacks thematic cohesion. Even in situations in which the protagonist and the antagonist are physically separated for much of the story, they cannot be considered in isolation. Together, their mutually exclusive goals create the conflict, which, in turn, creates the plot. Think of your protagonist and antagonist as lumberjacks on either side of a two-man crosscut saw. They must be pulling on the same saw—back and forth, back and forth. If either one ceases to pull on that saw in his turn, the saw ceases to move, and the tree ain’t gonna fall. This means the characters’ respective plot goals must evolve in harmony with each other. When you work on your protagonist’s overall plot goal, you must then consider how this will be blocked by your antagonist’s overall plot goal. When you work on your protagonist’s scene goal, you must consider how it will block the antagonist’s goals—and, in turn, inspire a defensive or offensive response in the form of a new scene goal for the antagonist. When your protagonist is off by himself, making plans, you must also be aware of the plans your antagonist is, in turn, making off by himself. It’s far too easy to come up with a cool battle, in which your hero is doing awesome things—and then fail to tie it soundly into the plot by connecting it with the cause and effect of the antagonist’s previous and subsequent goals and actions. A good generalization of plot is that it is the “give and take between the protagonist and the antagonist.” This means you must plan their moves in harmony every step of the way through your outline. Once you have successfully woven together all your story’s foundational elements, you will also want to consider narrative choices that ride a little closer to the surface. These are slightly more “cosmetic” choices. They do not affect the core of your story; they are, however, the vehicle that carries your story, and, as such, are just as integral to its successful presentation. Which POV (Point of View) will you use to tell each scene? If your story includes multiple plotlines or timelines, how will you order their scenes within the story? If your story includes multiple plotlines or character arcs, how will you harmonize their respective plot points? Not all of these questions must be answered in the outline. But when you begin your scene outline (which we will discuss in the final installment in this series, in a few weeks), all of these choices will influence the order of your scenes, the focus of your scenes, and ultimately the entire flow and force of your narrative. Making these choices requires a big-picture view of your story. When you choose to use a supporting character’s POV in one scene, what will this add or take away from your main character’s POV in subsequent scenes? When you are using multiple plot- or timelines, how can you order their scenes to maintain the best flow of tension and interest? How can you order the scenes to best contrast or mirror the events and themes in the alternate plotline? When you are creating character arcs for multiple characters, how can you harmonize their important moments of evolution around the main structural plot points? How will these choices affect which POVs you must choose? Shaping a story is always an exercise in making optimal decisions. There are rarely perfect decisions. But when you consider all of your story’s pieces as players on a chessboard, you are better able to understand which pieces must be moved, protected, or sacrificed to create the most pleasing overall effect. 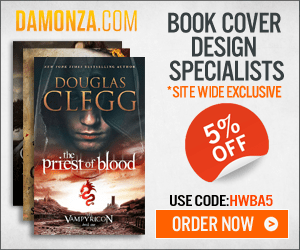 A firm understanding of story theory—of plot, character, and theme—will provide you the awareness to perform the bob and weave of outlining and to move your story pieces with confidence and precision. 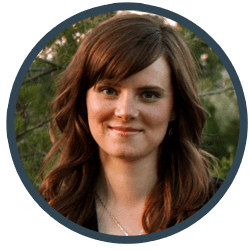 That is the true goal in figuring out how to outline a novel—not simply to pile one scene on another until you reach the end, but to craft a storyform that is as solid and powerful as possible. Stay Tuned: Next week, we’re going to talk about how to properly structure your story while outlining. Wordplayers, tell me your opinion! In figuring out how to outline your novel, what is your biggest challenge in seeing your story’s big picture? Tell me in the comments! When I was young I read John Blaine’s “Rick Brant” novels.He was an absolute master of multiple plot threads, see https://www.goodreads.com/book/show/3931300-the-rocket-s-shadow. I’m not ashamed to say that he taught me the sense of timing that meant each thread shift ended on a cliffhanger. I think it’s a case of seeing the shape of the plot which is to come, rather like seeing trees appearing in a fog. Don’t try to fit the aspects of your story into rigid compartments within your outlining process. This is something I’ve struggled with, but feel I’m improving with every outline. My mind naturally works in compartments, so this is something I’ve had to learn to do as well. I think everything in my story is coming too early. Also, what if your protagonist already has a mentor when the story starts? Nothing wrong with a preexisting Mentor character. I’ve done this in several of my stories. The key is to make sure he’s not full-on mentoring the protagonist in the story’s main Truth until at least the Inciting Event halfway through the First Act. K.M. Weiland, the queen of write. QC2: On the antagonist/protagonist analogy, where they work in harmony like two guys trading the ol’ back and forth with a crosscut, if you could clarify that a bit because I would think being opposing forces that there could be absolutely no harmony whatsoever and that it would almost impossible for them to work together on anything (even structurally) but more like a hallway dance. Or, to borrow from another of your analogies, instead have the composer somehow take these two conflicting elements, discordant tones and work them into the overall composition… utilizing the rhythms inherent in the conflict… ? The question/question is dealing with the structural pillars graphic. At the end it has resolution, but what I wondered was how that part might change in regard to a series. I watched an interview of Jason Riesman (I believe his name was) on On Story and he compared the difference of writing/directing for movies differently than for episodic tv. He said in tv, you’re not aiming for the end but for the next episode (along those lines). So, while you want some form of resolution to the story, how do you keep it open ended enough to transition to the next… episode… ? 1. Although it is certainly our basic tendency to think of the protagonist and antagonist working *against* each other, they do have to achieve a certain harmony (unbeknownst to them) within the flow of the story. Instead of thinking of their altercation as a brawl, where one is simply trying to beat the other into unconsciousness without being hit himself (in which there is no trading of impetus, and thus no forward momentum of plot), think of their conflict as a chess match. First one moves, then the other. The protagonist can’t make two moves in a row; he must way for the antagonist to respond with a move of his own before he can do the same. 2. Resolution varies from story to story, even for standalone books. Some stories feature no Resolution whatsoever, ending immediately after the conflict ends with the Climatic Moment. If the story is continuing in a further episode, there is much less necessity to tie off loose ends in the Resolution of the earlier story. Mostly, it’s a pacing thing. If there feels like there needs to be that sequel scene to grant the reader a breather after the Climax, that’s the top consideration for whether or not to include a Resolution. Okay, let me ask this: though I can see your point with #1 (and it reminded me of an example you’ve used about a time-traveling guy whose antagonist was his wife who worked against his goals). What if you change the playing field? From chess to football, where a team can take turn after turn after turn until they lose possession or score? Are the number of downs/turns they take considered one turn? One possession = one turn? haha… you know what, never mind, think I may have answered my own question. As always, thanks for both! I think the analogy holds up best if we think of the protagonist and antagonist each holding the ball for a full possession. That’s great, because it maintains the ‘strategy’ element of chess while allowing for various multi-pronged actions/reactions (offensive/defensive) within the series of downs to play out. That’s a really nice chart for the pillars of story structure. Did you make that yourself or find it somewhere? Of course, no matter how detailed your plans are, the story and characters can easily go in unexpected directions for you. Maybe it’s a plot moment that happens sooner than you expected, or maybe a protagonist suddenly turns into a double agent. I’m still learning how to deal with the balance between sticking to the plan and just letting a story build itself as you write it, and that’s more of a struggle with this year’s Nanowrimo project than anything I’ve written before (I’ve been planning this book for 4 years now). The vital scenes seem to be turning out well so far though. Probably my favourite action scenes I’ve written so far are the ones that turned out completely different than I planned, like a large battle that ended up being slower and more methodical, but in a way that works. And of course there’s a very tense duel in a pitch black abandoned night club between two very smart characters. Generally in my first drafts, I focus mainly on the story in my planning, and I let internal conflicts and character development work itself out as I write it, and then I focus on improving those in later drafts. It seems to be working so far. The graphic comes via Peter von Stackelberg, who based it on my approach to story structure, as well as Campbell’s and Vogler’s. I LOVE your new Character Arc book. It was so well written and packed full of great advice and logic, I had to double-check who actu ally published it… thought it was one of those WD books. It’s helped me flesh out my characters more than anything else I’ve come across. Thanks so much! What if there’s more than one antagonist? Like a plot antagonist and a personal one? The two conflicts need to come together in the end. Otherwise, weaving them in is no different.